One thing about us here at DAR, we love 90's R&B. We've discussed a lot of the artists and the albums that shaped the decade, but surprisingly enough, we've rarely discussed the songs or the singles that really helped make the 90's the best stretch of time for R&B music. From the beginning of the decade to the very end, there were hundreds of classic singles to top the charts and make an impact. Today, we take a look at 11 of them. This isn't ranking the best, this is putting them above each other, this is just a look at 11 classic singles and paying homage to a few of the iconic songs from the decade. Let's get into it. -I remember the first time that I heard this song. I was sitting on the porch in my old neighborhood with the radio playing. 92Q Jams, the local favorite station here, premiered a new R&B track, and for some reason, I didn't turn it off. I let the song play through and immediately I became a fan. Whether it was the hilarious intro or the infectious yet smooth chorus, this song just captures your attention. Lyrically, I'll be honest, the song isn't anything special, especially in the verses ("feet pedicure with no corns" is a real line here), but the way they are delivered makes them work. The song became a big hit, cracking the top 20 of the Billboard Hot 100 and becoming certified gold. 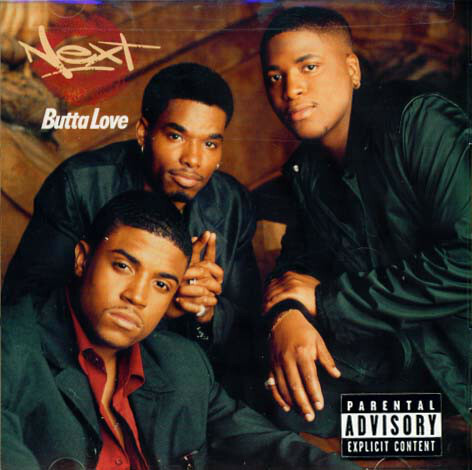 With the mix of the production from Lance Alexander and the lead vocals from R.L., "Butta Love" is undoubtedly a classic. -When Mary J. Blige arrived in the musical game with her debut album What's The 411, many people turned to her single "Real Love" as the go to for her. It was simple, had a hip hop appeal to it and a very catchy hook. 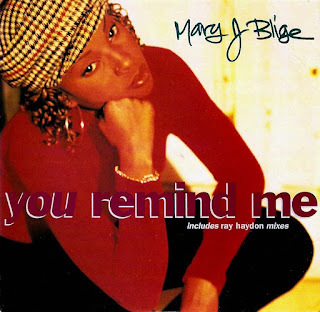 However, for me, her best single from the album is the incomparable "You Remind Me". It starts off simple, but when the beat drops, and Mary brings the harmony in, everything seems to just flow perfectly. The hip hop style production and boom bap pattern work well against the simplicity of Mary and her vocals, and every lyric requires you to sing along. Of course, the hook is the best part, as it's equal parts infectious and harmonious, and I actually think this is the most underrated single in her entire catalog. Plus, the concept of seeing someone or encountering a person that reminds you of someone you either dealt with or met before is far from foreign, making the song relatable in that sense. Mary came with something timeless on this one, and I can still play this track like it just dropped. 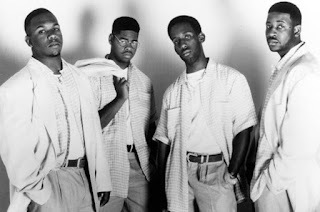 -When Boyz II Men dropped their second album, something happened. Their star power was already at their highest level it seemed after their classic debut, but the second album took them to heights never expected. 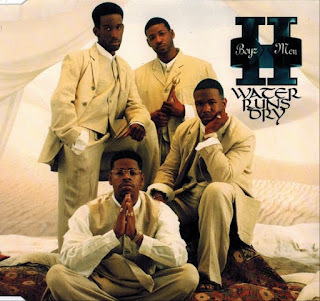 While they experienced immense success with some of their singles from the album, my personal favorite was their Babyface penned and produced classic, "Water Runs Dry". It was the best crafted ballad on the entire album and it not captured the essence of what the group represented, but it was full of lush harmony. The song is essentially a "baby, let's fix this relationship before things fall apart" ballad, but the majestic production alongside the lyrics (Babyface doesn't miss) just elevated it even more. Simply put, Boyz II Men and Babyface together would be a match made in heaven. -There is no way to have a list on 90's R&B and not mention a song written by the most storied songwriter of the decade, Babyface, and as you see, this isn't his first inclusion on this list (and it won't be his last). When Toni came out the gate, she had the heaviest hitter behind her with L.A. Reid and Babyface crafting her first album and a majority of her singles. I honestly can't think of a debut from a female R&B star that's better than this one, and I could have literally chosen every single from her album for this list. The song that I did choose is perhaps the most simplistic of her ballads. 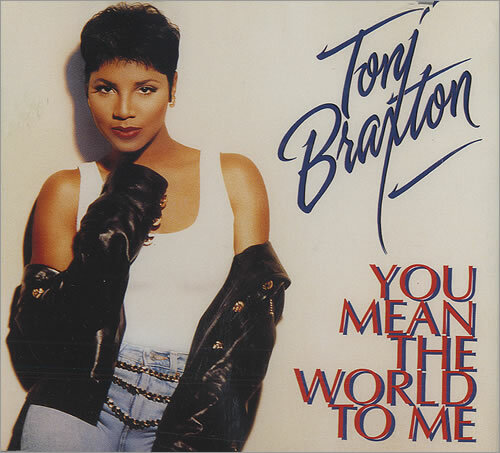 Toni professes her love for her man in this song, but also addresses and acknowledges what seems to he insecurities and problems. The song structure is well put together, the lyrics are very solid, but of course, the chorus carries the song. The way Toni layers her vocals and harmony is a perfect marriage with the production, and there's no doubt about it, "You Mean The World To Me" is a classic. -Does anyone remember the bounce? Does anyone remember how there were certain songs that instantly made your shoulders move? This is one of those songs without a doubt. The production is so smooth and the melody that kicks it off atop the drum pattern is undefeated. 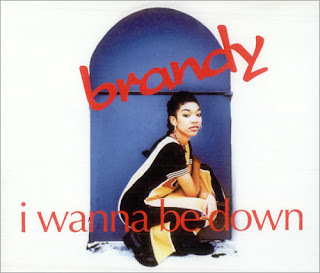 The opening line is honestly iconic, as Brandy leads off simply with "I would like to get know if I could be....", and the song just continues to grow from there. By the time we reach the hook, your head is nodding to the vibe of the song. 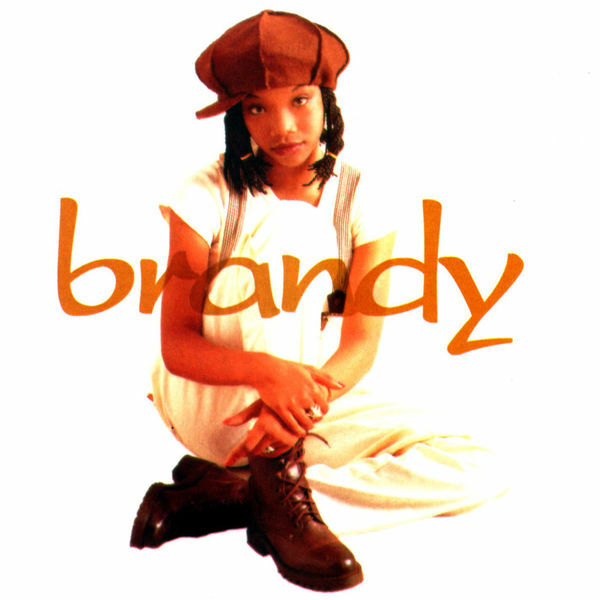 Brandy made a number of classics in the 90's, but for many of us, this was our introduction to her and it was one hell of a first impression. 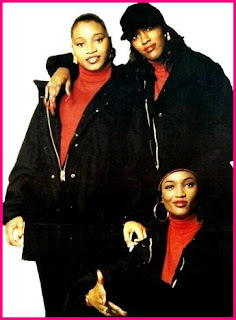 Not to mention, it spawned a classic moment with the remix featuring female hip hop queens like Queen Latifah, MC Lyte, and YoYo. -This is one of the most underrated songs of the decade. Truthfully, it's the broke man's anthem in many ways, but most of all, it's just a very good song. I wouldn't expect such a solid outing from these two, as you wouldn't expect their styles to mesh, but it meshes pretty seamlessly on this track. 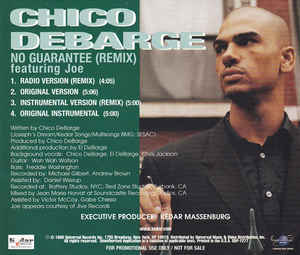 The production is vintage late 90's R&B, as it has a simple melody atop a bouncy drum pattern, and the lyrics tell their own story. Chico details having a small one room apartment that isn't much of course, but it's enough to make sure he and his woman are good. Joe has a slightly different verse, but it's in the same regard. He speaks of his experience with window shopping and hoping for a pay increase, all the while looking ahead to bigger things for him and his lady. The overall message of the song is simply that although things are tough, they want to stick with their woman and make things work together, but the reality is, life comes with no guarantees. It's essentially the broke man's anthem and it's a true classic at that. 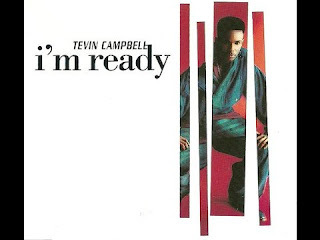 -The truth be told, when people mention Tevin Campbell, a lot of their discussion goes to his infamous Babyface produced classic "Can We Talk", which is probably his most memorable single to date. It was the leadoff single to his album "I'm Ready", but the title track is a much more enjoyable listen and a better crafted song IMO. Produced and written by Babyface with assistance from Daryl Simmons, Tevin delivered a smash hit that blends the elements of New Jack Swing R&B and the evolving sound of the time perfectly. Lyrically, the song flows smoothly, as Tevin utilizes his top notch vocal ability to carry the song. This song possessed a much more mature position than "Can We Talk" did, and that's what made it better. It was more of a grown ballad and it was executed flawlessly, giving Tevin another classic in his catalog, and of course, another epic composition in the Babyface catalog. -Before faux feminists started to preach their backwards logic about sexual liberation and acceptance, there were women who were outright honest and straightforward about how they were and how they liked it. Adina Howard is one of those ladies that brought that to the table and her breakout single showed that women and men alike appreciated a woman who knew what she wanted and wasn't afraid to sing it. The West Coast inspired production of this song along with the infectious hook and lyrics of this song helped make it a hit, and Adina delivered on every level with this track. -At the beginning of the decade, New Edition was achieving huge solo success following their classic album Heartbreak, and Johnny would step into the role as the 2nd biggest solo artist after Bobby Brown. 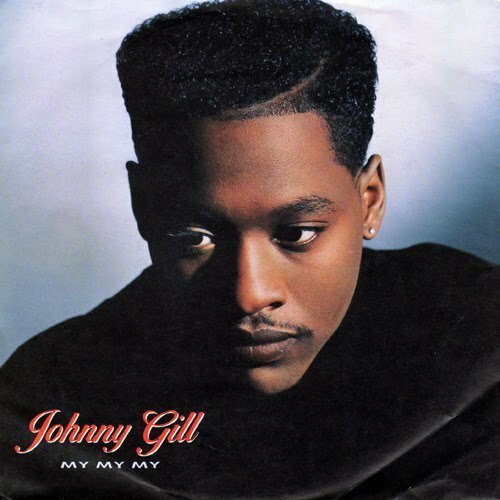 On the heels of his biggest solo project, Johnny would release this instant classic ballad that was produced by L.A. Reid and Babyface, and of course, Babyface penned this gem. The production is jazzy with an amazing saxophone rhythm smoothly playing over the drum pattern and the result is the biggest and most important song in Johnny's career. There hasn't been a single that captured the essence of what Johnny and his music represent quite like this one. "My, My, My" is a legendary single hands down. -When we look at some of the greatest groups of the 90's, clearly the list isn't complete without TLC. They had one of the most successful albums of the decade with CrazySexyCool, and this single is one of the best songs from the entire project. 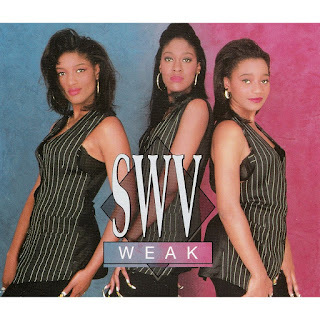 Released as the second single from their album, this Babyface produced and penned seductive anthem showed the ladies in a much sexier light than their first album. 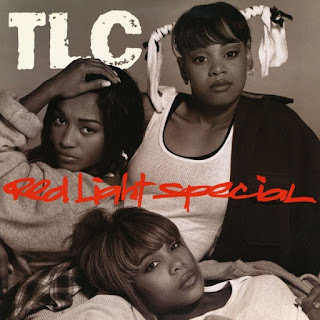 From the lush vocals of T-Boz, the harmony on the hook, and of course the bridge from Chilli, the ladies deliver a definite classic and this is probably a top 3 TLC song in their catalog. Babyface once again blessed an artist with his magic touch and songwriting. -During the 90's, ballads were such an important part of music and especially R&B. Sure, there were tracks that could make you bounce or make you dance, but love songs and ballads always managed to grab the attention the most. For female artists in R&B, ballads were successful, but there is probably no ballad from a female R&B group as successful as this song. It's one of the greatest 90's R&B songs ever and it's the perfect song to close out this article. SWV is one of the greatest groups of the decade and my personal favorite female group, and this is their most iconic song (you could argue the Human Nature Remix of "Right Here" also). This Brian Alexander Morgan produced and penned ballad carries an infectious nature from the opening line to the very end of the track. It's 90's R&B at its best and most simple, much like every song on this list. 90's R&B was legendary and it's because of songs like these.